We were hosted brilliantly by Dummer Golf Club on Thursday April 26th for the 1st Annual Champion Group Charity Golf Day. The new event which we hope to host every year in support of our chosen charity was a great success. A full house of 18 teams from local companies and fellow Ark Cancer Centre supporters took part in a shotgun golf competition. The winning team (pictured above) came from Cotton Graphics, managed by local sporting celebrity and great supporter of the Ark Shaun Udal. Shaun also very kindly MC’d our charity auction in which we sold a number of prizes donated by friends of the Group. 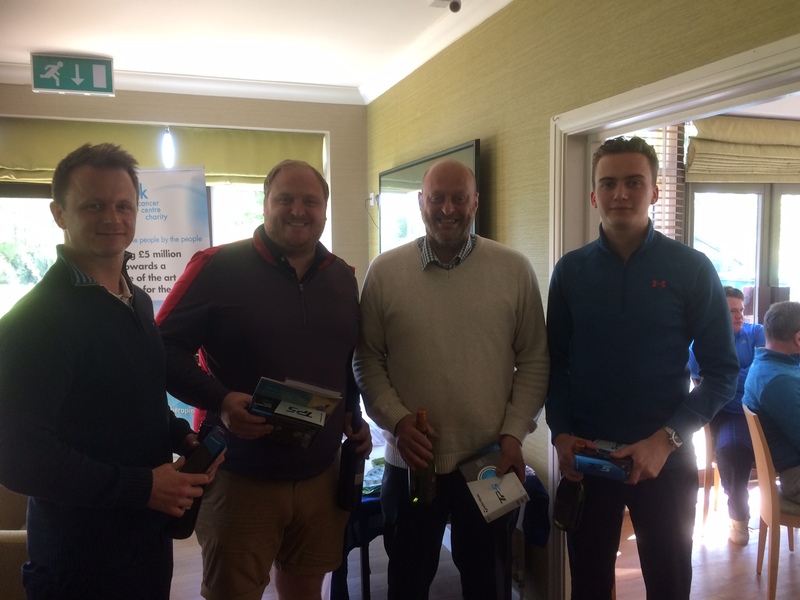 As you would expect we had all the normal competitions on the day including longest drive which was won (with a monster of a drive on the 18th) by James Bye. Straightest drive down the 8th fairway was won with a lovely strike by Carl Vernon. The nearest the pin over the hazard on 14 was a competitive prize which changed hands throughout the day but was eventually claimed on their last whole by Team Champion member Ben Todd. We are delighted to announce that we raised just under £5k on the day for the Ark Cancer Charity which is a massive step towards our goal of £10k for 2018. Once again we would like to thank all who took part, supported and hosted the event. We are looking forward to next year already! PHOTO: Winning team competing on behalf of Cotton Graphics.